"In our everyday lives none of us wishes to have illness thrust upon us, but when it is, I am there for my patients. I want them to know I will use all my skills to heal and improve their lives. I became a general and vascular surgeon because I enjoy the knowledge and challenges of the profession. We ... Read More as a surgical group have been able to stay at the forefront of surgical innovation because of our passion for knowledge. And this has allowed us to be on the cutting edge of new surgical technology in surgery. I bring this same passion to the forefront of patient care. I feel blessed to have had this opportunity in life and honored when a patient and family entrust me with their medical care." 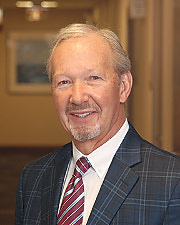 David Engstrand, MD offers services at multiple WI locations.